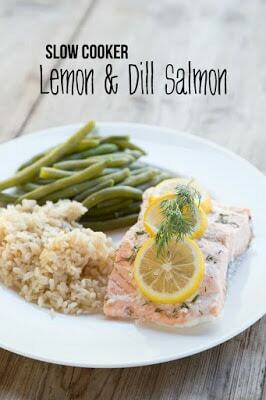 Slow Cooker Lemon & Dill Salmon sounds like a perfect idea for an easy, nutritious summer meal. Love the sound of this for an easier way to cook salmon that doesn’t heat up the house. 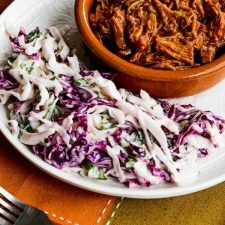 Use the Recipes-by-Photo Index Page for Slow Cooker Summer Dinners to see all the recipes for Summer Dinner ideas that have been featured on this site. I think this Slow Cooker Lemon & Dill Salmon from 5 Dollar Dinners is a brilliant idea. Using lemon and dill in the recipe makes it a classic flavor combination for cooking salmon or any seafood. Using the Slow Cooker when it’s too hot outside to use the oven or even the grill is the brilliant part! Erin says this is her favorite way to cook salmon, even better than baked or grilled. The end result is a softer, flakier salmon that has time to soak up all the delicious flavors while cooking. Sounds like a perfect dinner for a summer night. Use the Recipes-by-Photo Index Page for Slow Cooker Summer Dinners to see all the recipes for Summer Dinner ideas that have been featured on this site. 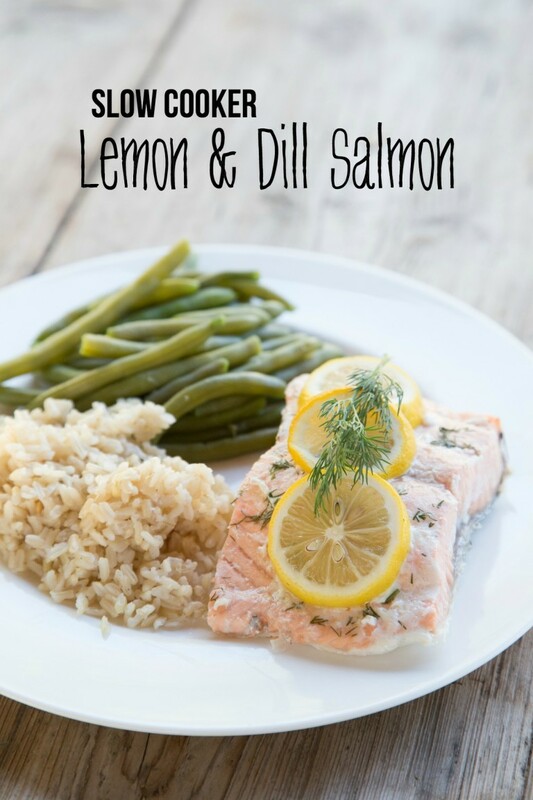 Yummy …lemon and dill! This looks so good I must try it soon. Thanks Pa! What I like is that it sounds foolproof! I've never tried cooking fish in the slow cooker. This definitely looks like a recipe to make soon! Lydia, I haven't done it either, but we know poached salmon is good, so why not?